I visited Groote Post in Darling for the first time recently and was so impressed with the clutch of buildings on the farm, which Nick Pentz, the owner, told me were all National Monuments, all in perfect condition. All around the fabled West Coast spring flowers were in bloom. 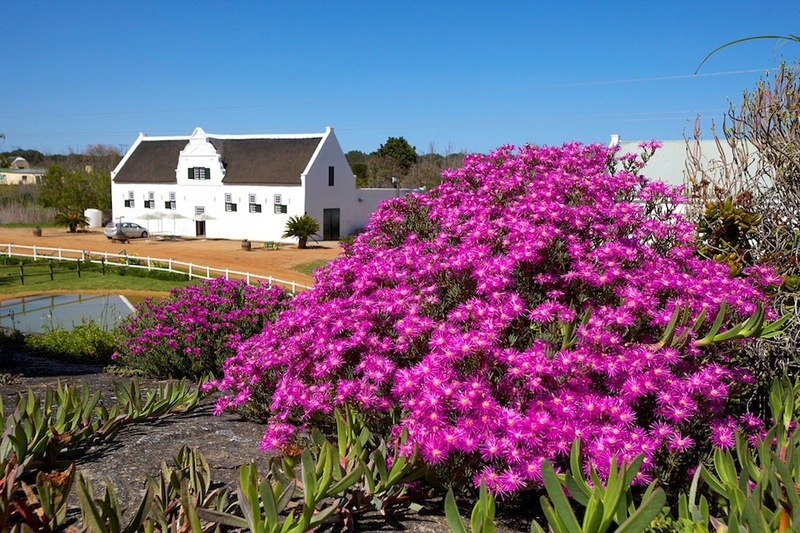 With summer knocking on the door, the Pentz family invites you to head out to the country and join them in celebrating the change of season at Groote Post. In honour of the estate’s very own ‘Grande Dame of Cape Cuisine’, Hildagonda Duckitt, whose favourite seasons were spring and summer, Groote Post is featuring some of her well-loved dishes on the menu at Hilda’s Kitchen, the award-winning restaurant that was named after, and inspired by her and where some pretty inspired cooking by the talented Debbie McLaughlin takes place. 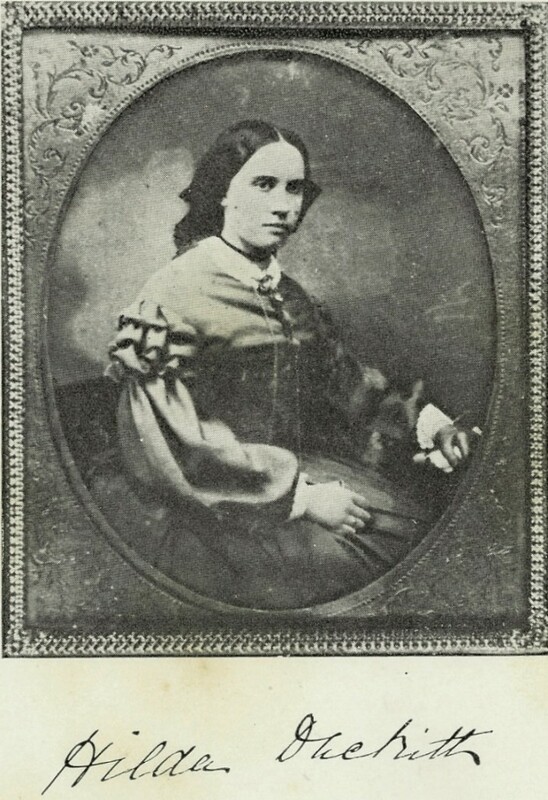 Hildagonda Duckitt, Groote Post’s, and indeed the Cape’s, first lady of food was born at Groote Post in 1840 and spent more than half her life at this historic farm. A celebrated hostess, Hilda’s impressive collection of recipes, Hilda’s Where is it of Recipes, was published in 1891, followed by her Diary of a Cape Housekeeper some years later. Both of these cherished historical manuscripts contain not only Hilda’s treasury of Cape Cuisine at the time, but also delightful cameos of Victorian life. In her Diary, Hilda writes about Groote Post with great affection and evocative nostalgia, referring to the farmstead as her ‘dear old home’. She refers to spring and summer as her ‘best months’, teeming with fond memories ‘indelibly etched on her mind’ with ‘soft balmy sunshine, flower-scented air, laughter and happiness’. To her this time of the year was synonymous with ‘hospitality’. Hilda’s books are on view in a cabinet at Hilda’s Kitchen situated in the historic homestead. As a dedication to this spirited matriarch, food fundi and indomitable personality, Hilda’s Kitchen’s daily menu will include a dish from her well-loved recipe books, interpreted by internationally trained chef Debbie using modern cookery methods. The fun part is that Debbie has matched Hilda’s dishes with the fine wines of Groote Post. 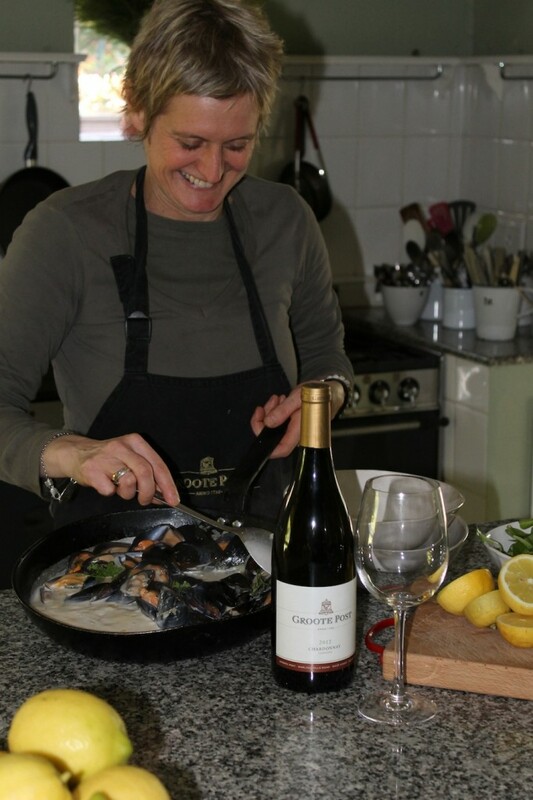 Hilda’s West Coast Mussels in a white wine and cream sauce is served with Groote Post Reserve Chardonnay. Hilda’s Chicken and Mushroom Pie is a perfect partner for Groote Post’s Chenin Blanc. Hilda’s Springbok and Red Wine Pot Pie, and other farm-sourced venison dishes, go well with the Groote Post Merlot. Hilda’s baked goods, her seasonal fruit tarts, such as Hilda’s Plum and Nectarine Tart, is served with Darling’s well-known fresh cream. 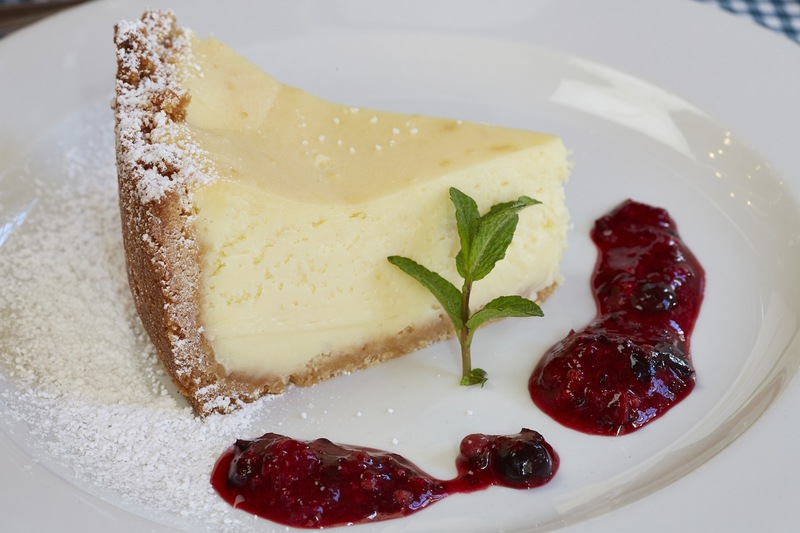 Buttermilk tart with toasted coconut ice cream and granadilla coulis, and a white chocolate cheesecake will find a perfect match in Groote Post Riesling. Hilda’s Kitchen is the only restaurant to be nominated in more than one category in its region in the 2013 Eat Out guide. The categories are Best Bistro and Best Country Style. This is the fourth year in a row that this restaurant has been nominated in the Best Country Style category. 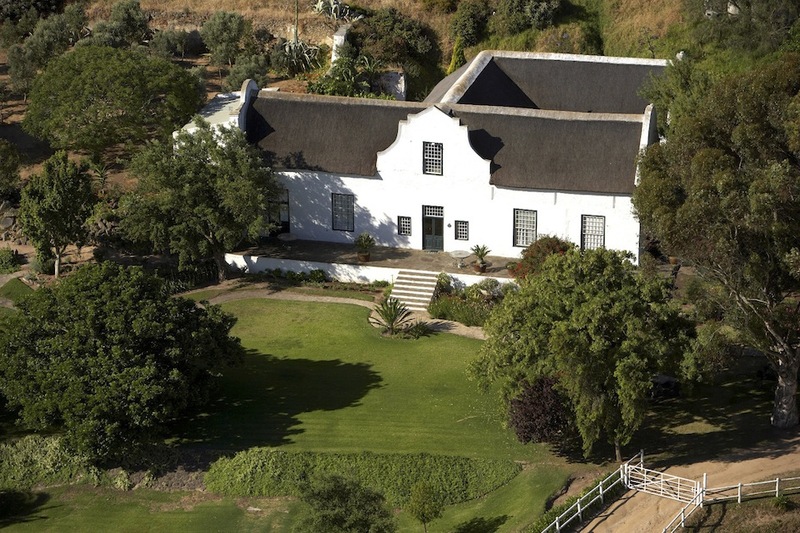 In addition to a wide range of award-winning wines and Hilda’s Kitchen’s superb culinary experience, Groote Post also offers cheese platters at the cellar; Picnics in summer (to be ordered a full day in advance from the cellar); farm drives through the vineyards and the 2000-hectare game camp; a child-friendly area with a jungle gym and rolling lawns; spectacular views of the Atlantic coast and Table Mountain and Nature walks and bird-watching. Take the whole family and soak up the rich heritage, inimitable rustic charm and country hospitality synonymous with this family estate. Open for lunch Wednesday to Sunday (Booking essential). Monday to Sunday starting at 10h00.